I didn't have any assigned chores growing up. I don't remember what the expectations were. We had a maid. When I was a kid, I thought everyone had a maid, because my friend across the street and the one around the corner had one, too. And so did other family member households. Then I made new friends around the time I started first grade in public school whose families didn't have maids. One of my friends and her siblings had to clean their house Saturday mornings. When I'd spend the night with her on Friday nights, I'd stand around Saturday morning feeling useless while they cleaned. I didn't know what to do with myself. I don't remember asking them if I could help. I'm not sure they would have let me. Here I am not doing any chores. I'm holding my little brother John's hand. This was probably taken around 1960. I remember our maid telling me once that I had the cleanest room in the house. I guess I was pretty orderly. Until I was a teenager. Then my room was a disaster. I never put anything away, which is totally unlike the way I am now. I can't stand much clutter. When I got married, I barely knew how to cook, but I knew how to sweep and make the bed. I could make cakes, pies, and brownies. 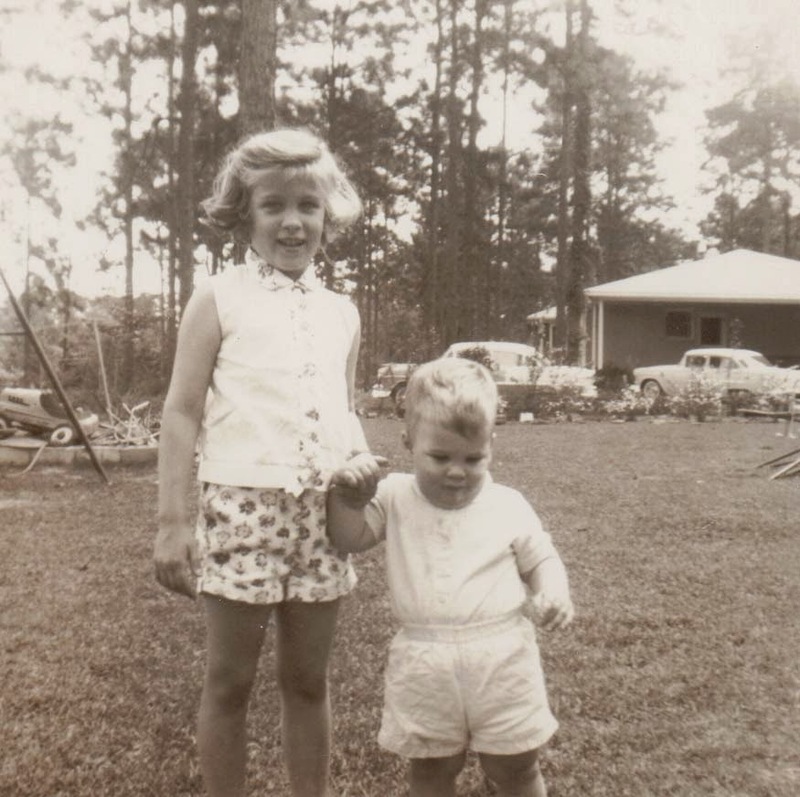 I could change a baby's diaper because I'd practiced on my sister Helen (I was just over 9 1/2 when she was born). I guess I learned how to do chores by watching our maid and the neighborhood maids and from TV shows and commercials, and I probably learned how to wash clothes by reading the instructions that came with the washer and dryer. I've been doing chores ever since.